● Hip Holster / Leg Holster Either can be used! can hold most hand guns! ● Leg strap is detachable! 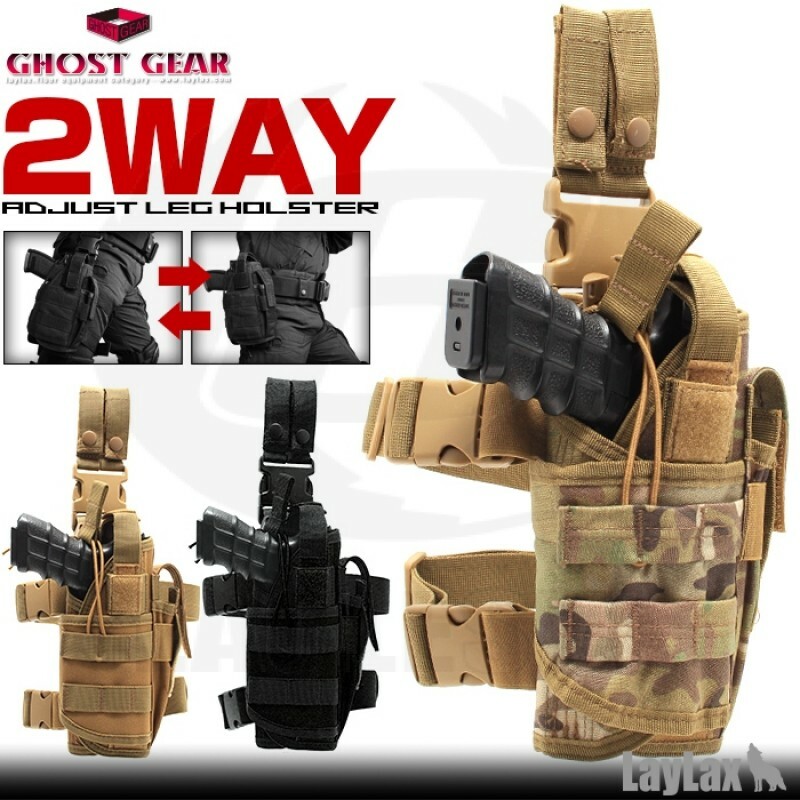 Adjusted Long Holst "Free Size" 2way Adjust Leg Holster "free size"
2way Adjust Leg holster can "adjust (adjust)" in Velcro to the size corresponding to the gun used. As well as standard size M92 and Hi-CAPA (Hikapa) series, it is possible to correspond widely such as the glog series, the large desert eagle etc. Because it can correspond to most hand guns, it is convenient to use in multi. In addition, it is possible to insert it into the holster even if optical equipment, suppressor, silencer etc. are attached to the gun. The mounting position is attached to the gumberto and the waist side, hip back, and the mechanism for attaching to the leg are also equipped as standard, so we will do a few roles according to the situation one by one. It is a convenient holster that you can make happy adjustments according to cancer and users. ■ Attention: The gun body is not included in the product.